This assemblage by Nevelson is called Homage to 6,000,000. One art critic claimed “Each box is the same, yet the interiors are each different. This huge installation speaks of the unbelievable number of Jews who died during the holocaust. Perhaps for her, each box was the remnants of a separate life, all combining into a formidable wall of remembrance.” When students analyzed this assemblage, they really understood this idea the artist was trying to get across. 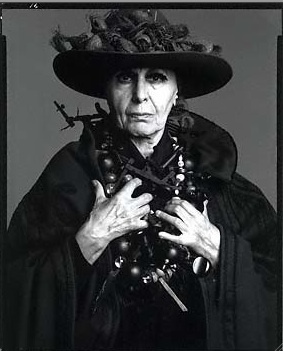 In this portrait of Nevelson, she looks like a living assemblage! 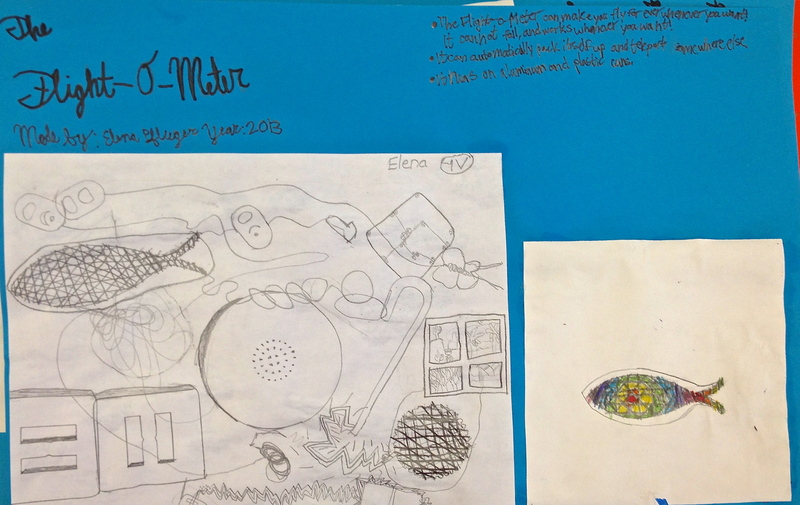 Students chose to create their assemblages in a radial symmetrical design, asymmetrical design or mirror image symmetrical design. The found objects were found in my grandma’s basement! My grandma is an artist herself and when she moved into assisted living, she had to give up most of her supplies. Some of the boxes had stuff in it I never thought I could ever use, but it was perfect for an assemblage project! Fake butterflies, small straw hats, parts of old blinds, fake flowers, doll heads, doll hair and so many more odd and interesting things. Students loved going through this box of miscellaneous stuff! I think I could have made this project two months instead of two class periods and they would have been just fine with that. And some of the finished assemblages..
Identify the purposes, subject matter, stories, feelings, or symbols communicated through art. 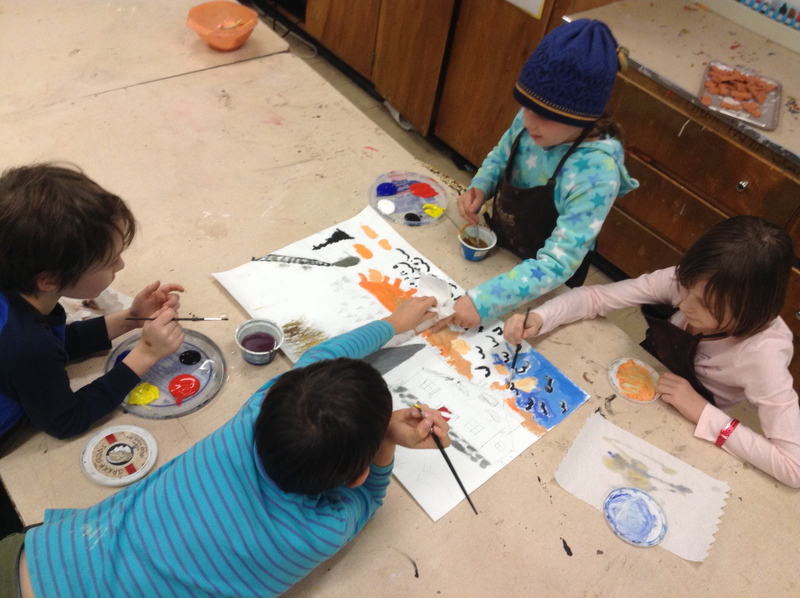 Identify and use color, shapes, lines, texture, space, and movement in works of art. 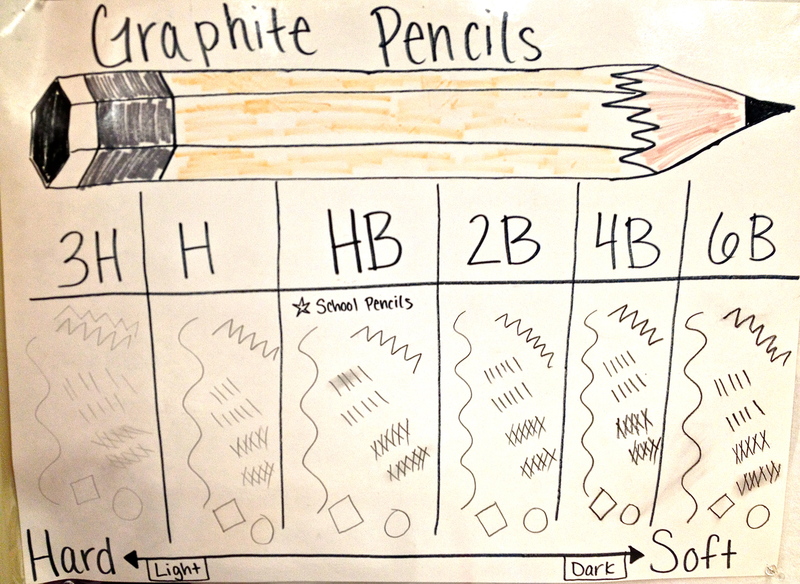 Identify and use contrast, repetition, emphasis, unity, and variety. Use creative problem solving skills and risk taking skills. 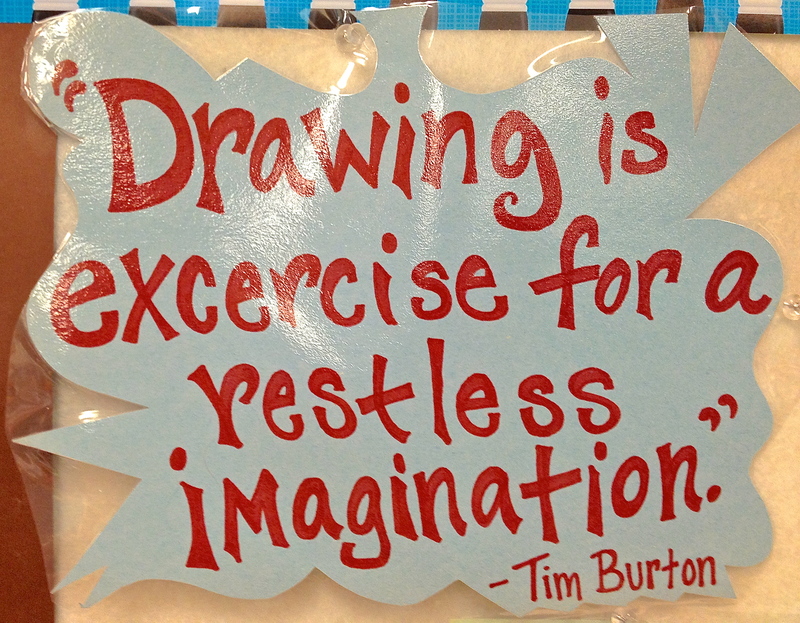 Describe artwork and will continue to develop this skill. Recognize an expanding number of artists and their styles. Recognize artwork representing various cultures, gender, media, time, and subject, ulilizing developing resources from the Chazen. 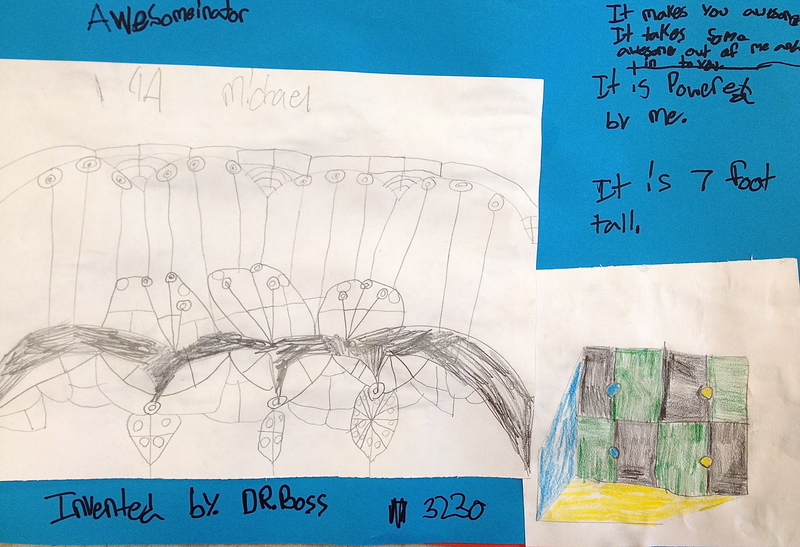 3rd graders began this lesson with a close reading of Diego Rivera’s murals. 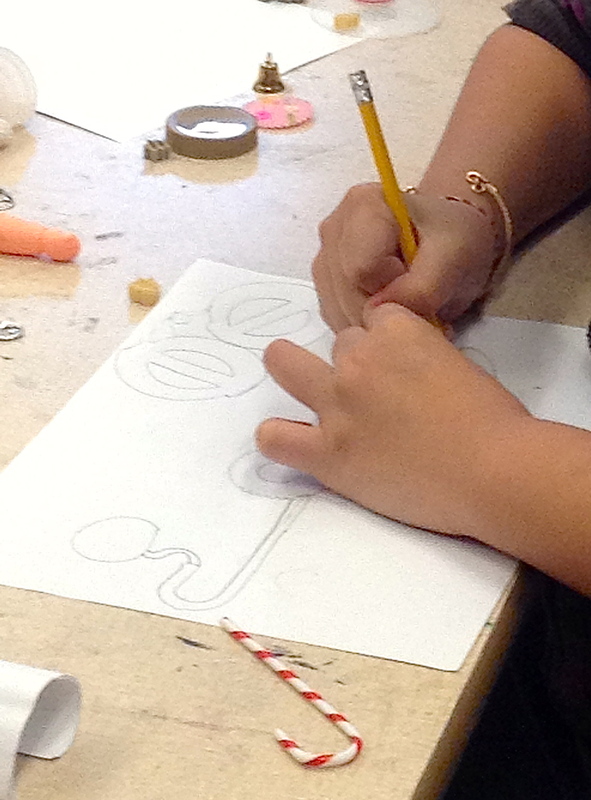 Students got into groups and began sketching their plan for their own group mural. 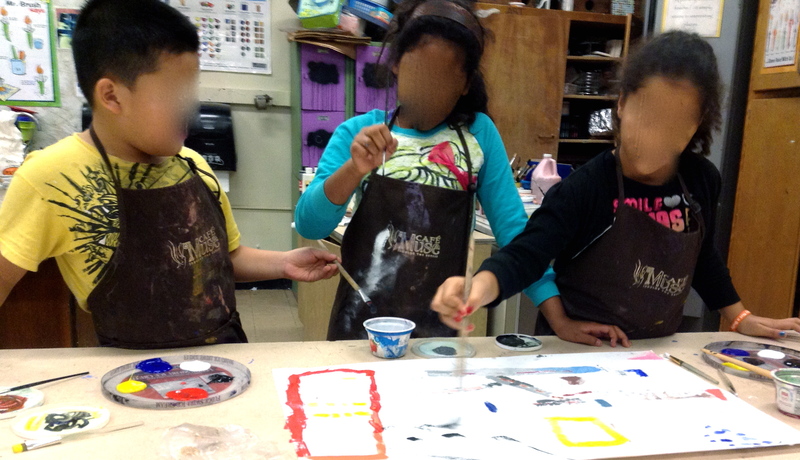 As they began painting, they needed to review how to mix for secondary colors. They also needed to know what kinds of brushes to use. 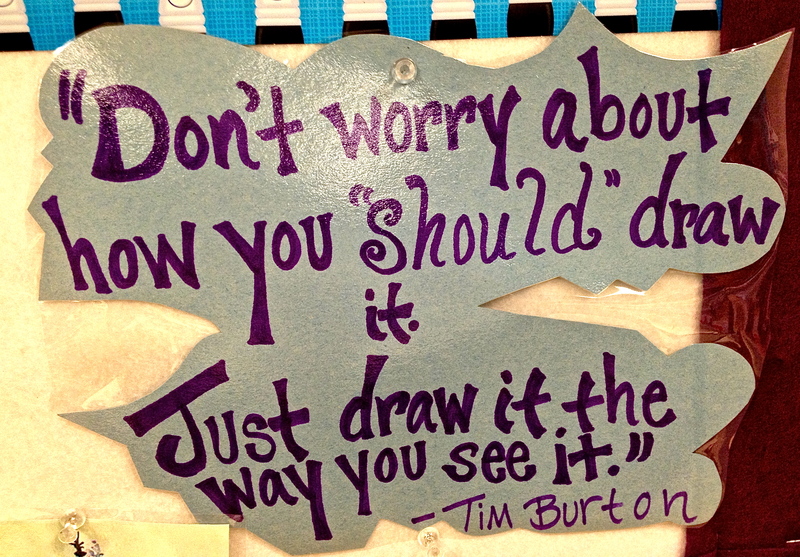 It makes sense to say out loud that you would need a small brush for details and a large brush for the big areas, but it is something students needed to be reminded of to think about. 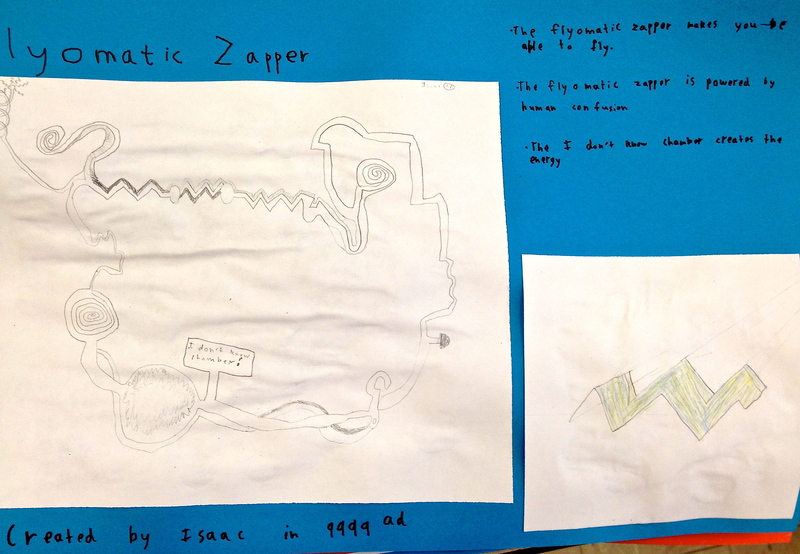 Students really started to learn what the word craftsmanship means through this project. 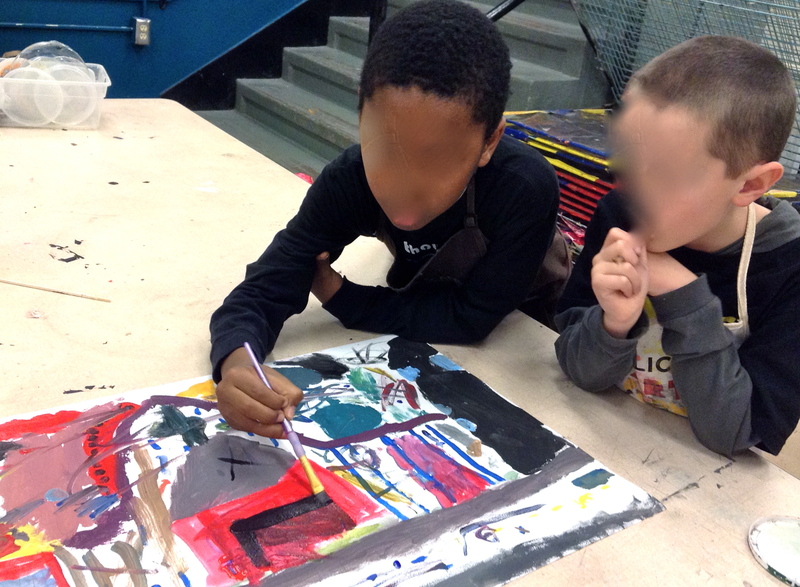 At various stages, students needed to be on the lookout for different ways they could see in their murals that they were really doing their best work and not rushing things. In the painting stage, that meant being White Spot Inspectors. When they were finished painting, that meant getting out their black markers. If you click on the links, you can see the videos created by another art teacher that students watched on these craftsmanship concepts. 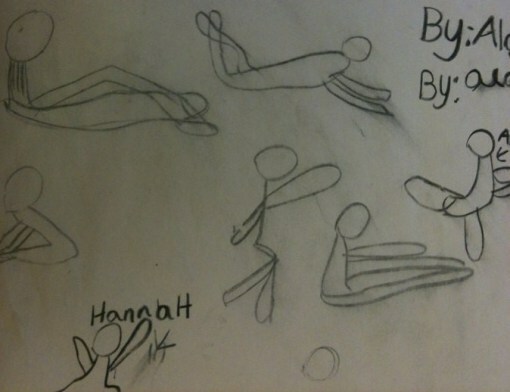 After painting the murals, students learned about gesture drawings to help them create the workers for their murals. After a month and a half of work, here are the results! 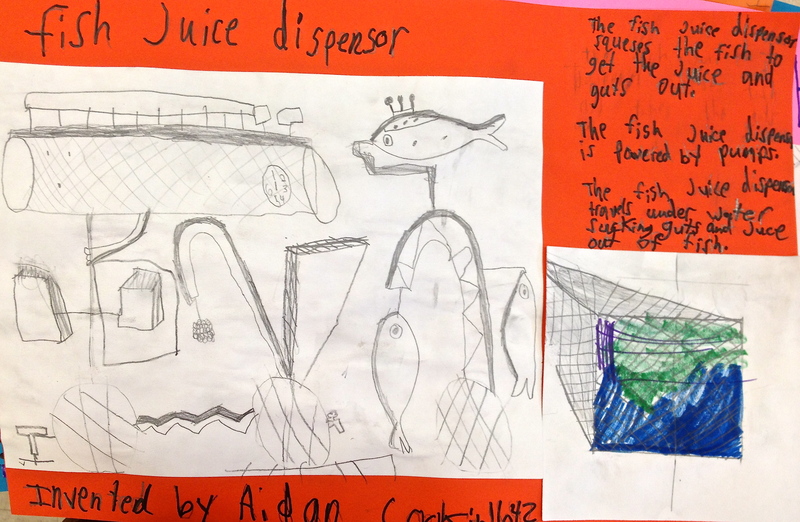 Identify the subject matter or story communicated through art. 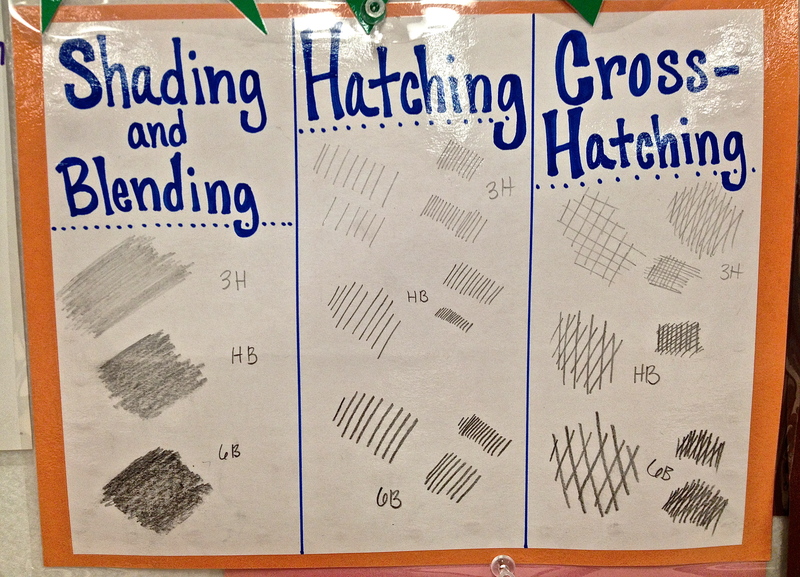 Identify and use color, shapes, line, texture, and space in works of art. 1. 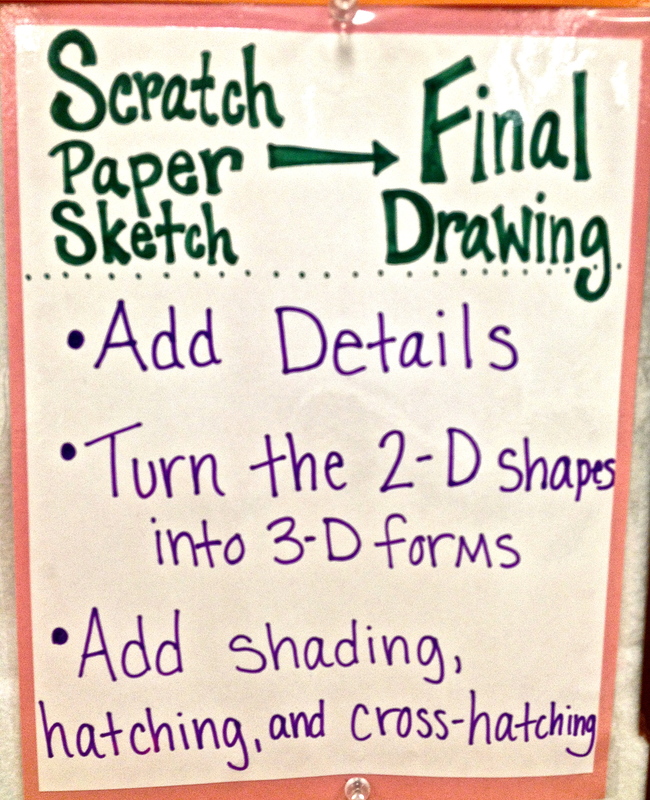 Drawing as a planning tool for later use with a variety of media. 2. Drawing with contour line. Participate in group discussions describing artwork. Identify subject matter and feeling found in art. Identify the narrative qualities of artwork, i.e. cultural meaning and illustrations. 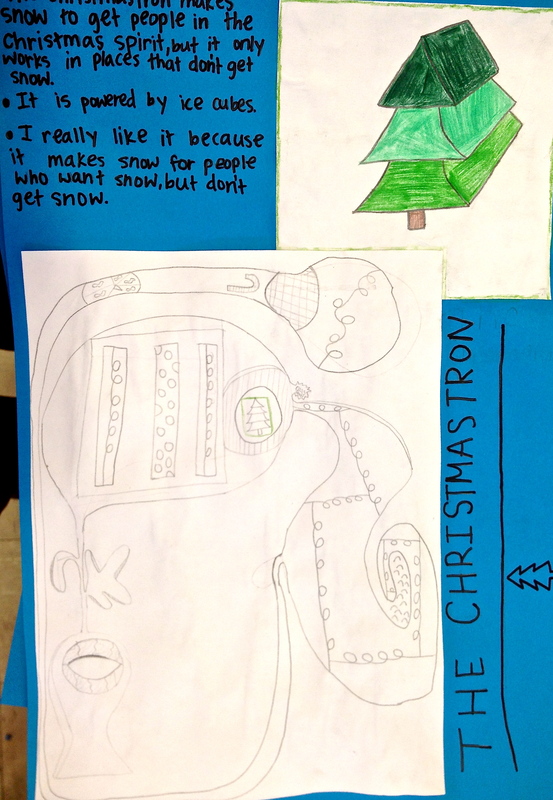 Create artwork with various subject matter, symbols, and emotional content. View styles and techniques of a limited number of artists, and/or cultures past and present. Students will work cooperatively with partner and in small groups. Students will identify and practice strategies for resolving conflicts constructively. 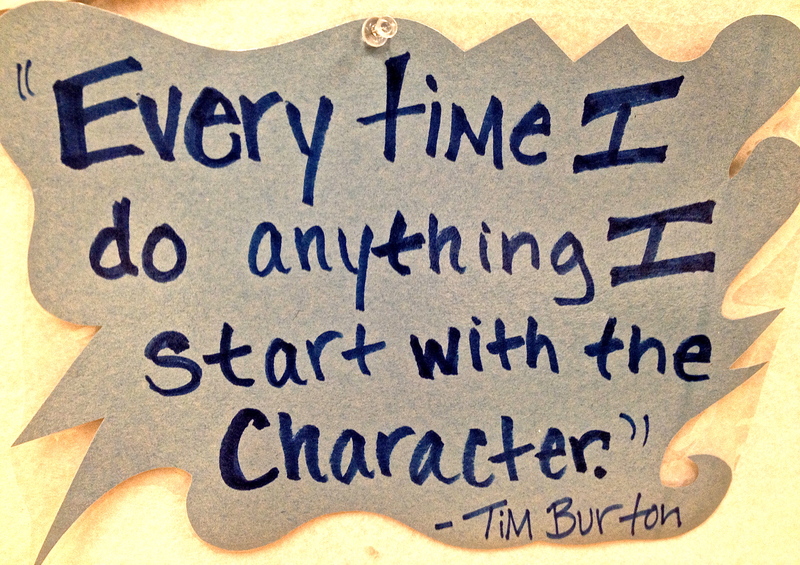 Students will recognize that they have choices in how to respond to situations. Third graders learned about the Mexican holiday, Day of the Dead (Dia de los Muertos). We watched this short video and learned how Day of the Dead is not a scary holiday and it is separate from Halloween. Day of the Dead is holiday for remembering and honoring those who have passed. It is a festive, joyous time of celebration. Dia de los Muertos originated centuries ago in Mexico, where it is still widely celebrated to this day. The holiday is a blend of pre-Hispanic indigenous beliefs and Spanish Catholic beliefs. The image of the Catrina has come to be a prominent symbol of Day of the Dead. 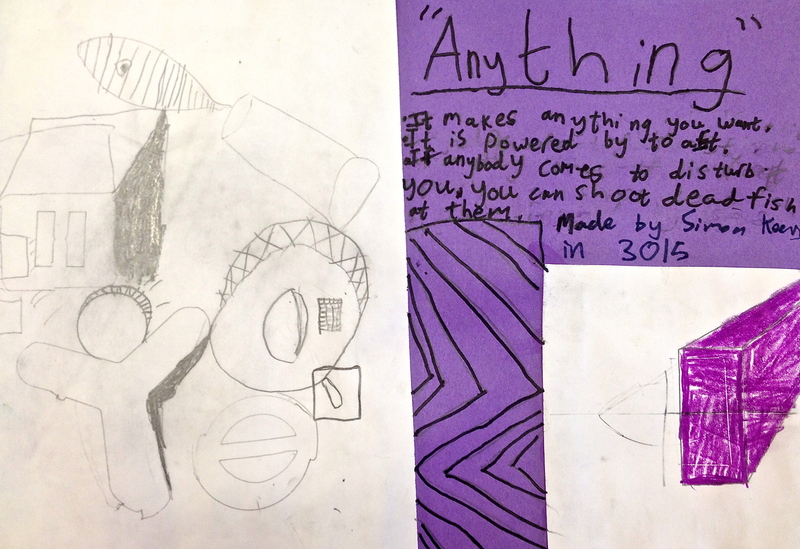 Students chose to either create a celebratory Catrina image or create a skeleton image in honor of a loved one who has passed away after they created their own ‘sugar skull‘ design. Students will know and remember information and ideas about the art and design around them and throughout the world. Standard One: B. Art and Design History, Citizenship, and Environment Students will understand the value and significance of the visual arts, media and design in relation to history, citizenship, the environment, and social development. 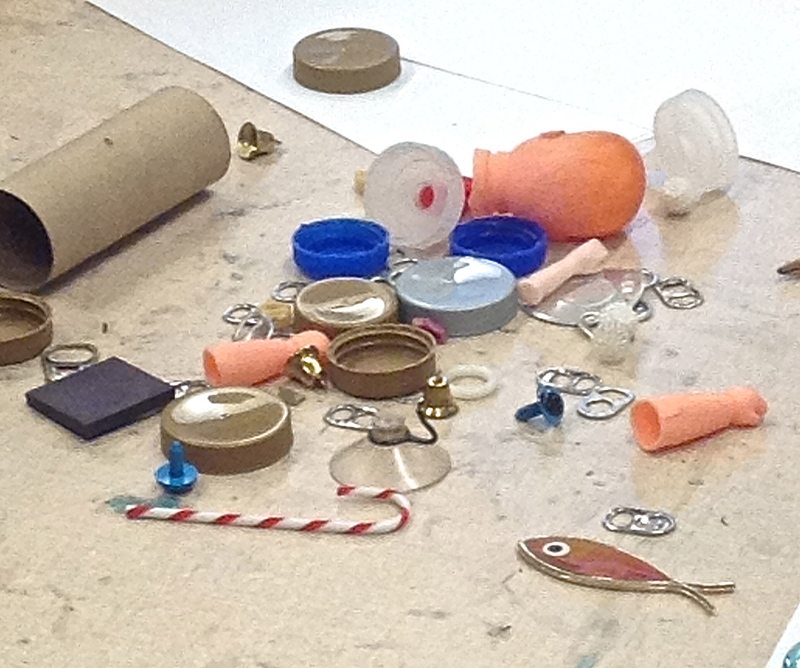 Standard Seven: Interpreting Interprets the visual experience with a range of subject matter, symbols, and ideas. 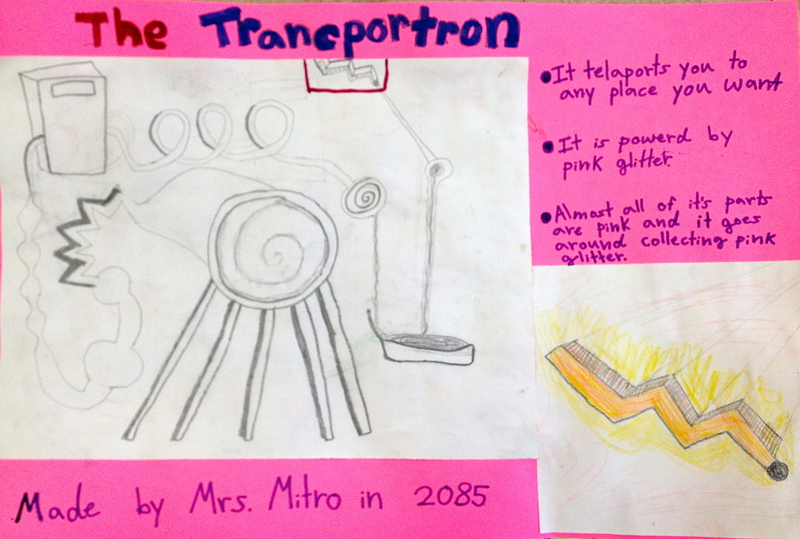 Students will be able to: Identify subject matter and feeling found in art. Identify the narrative qualities of artwork, i.e. 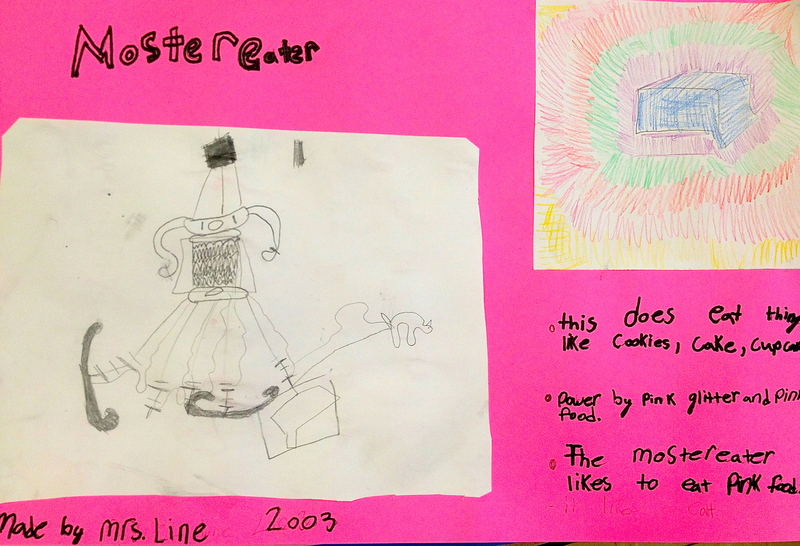 cultural meaning and illustrations. 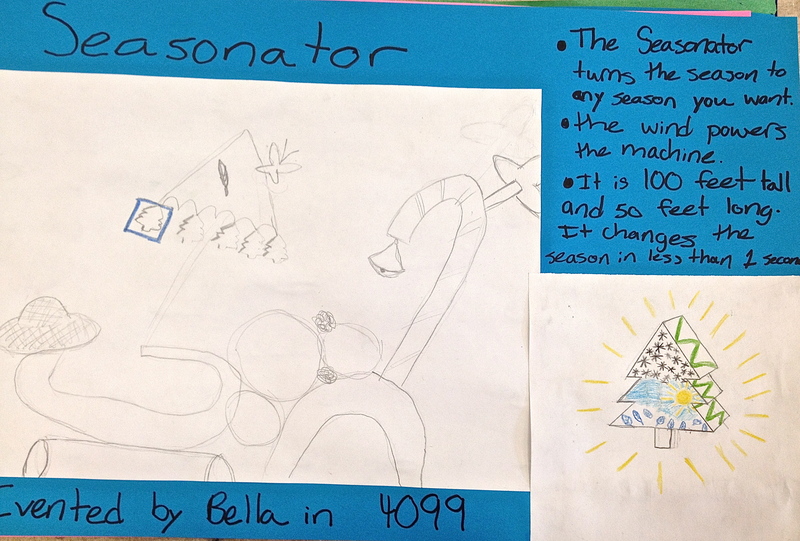 Create artwork with various subject matter, symbols, and emotional content. Standard Eight: Understands the function and structure of the visual arts in relation to human history and cultures. Students will understand and be able to: View styles and techniques of a limited number of artists, and/or cultures past and present. 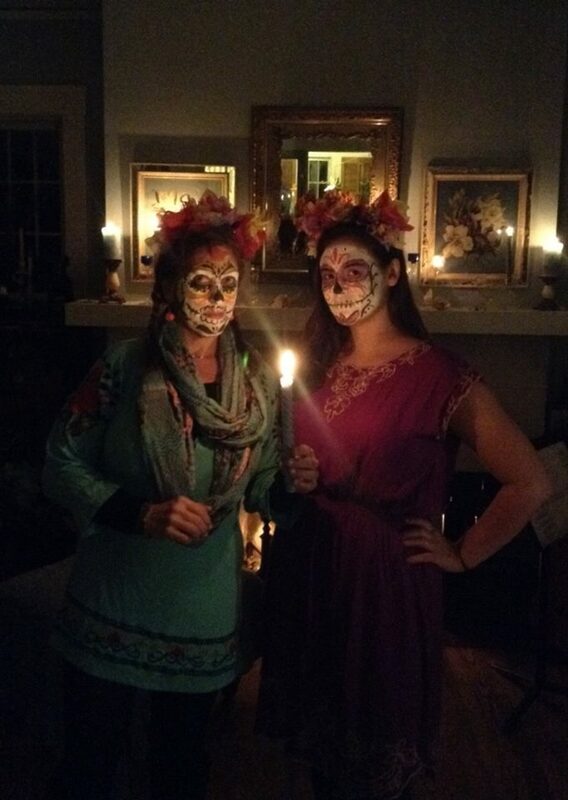 Ms. B and I were inspired by Day of the Dead and were Catrinas for Halloween. Did you stop by for hot chocolate and candy? Unity Days have quickly become a loved Randall tradition! We have two Unity Days in fall and two in the spring. Unity Days have a dual purpose. One, to get assessments done by pulling students out to complete them throughout the day and two to mix everyone up by grade level and experience lots of different community building activities throughout the day. 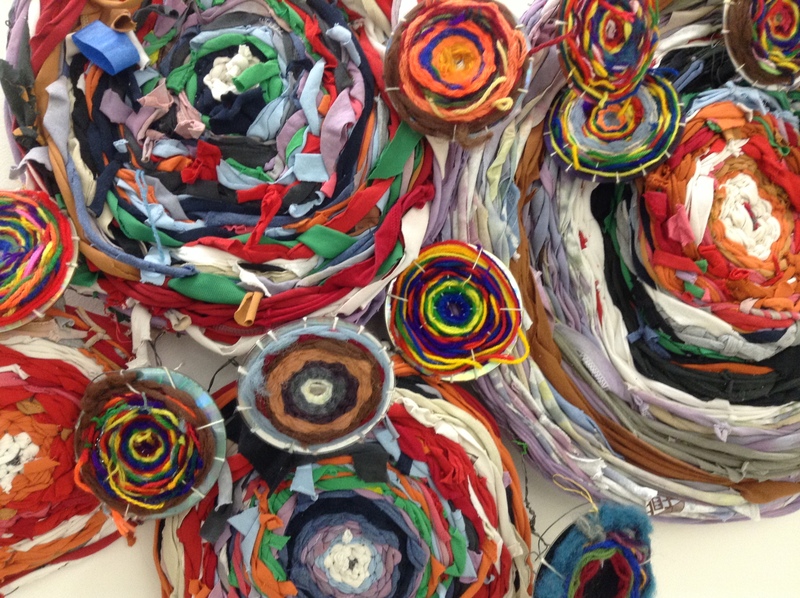 This year’s Unity Day in the art room, students were all involved in collaborative circle weavings. Creating art work in circle patterns or mandala designs have long been known in many cultures and religions to bring restorative benefits and meditative qualities to the artist and the observer. 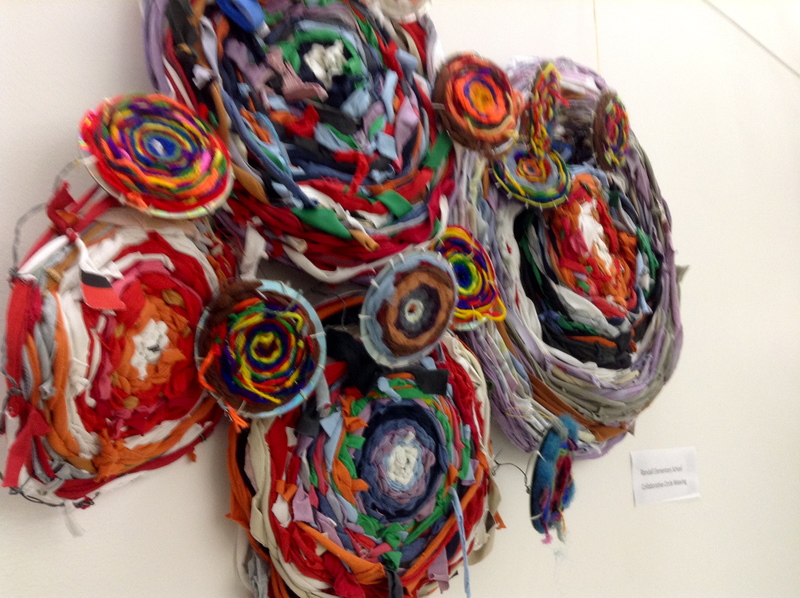 Part of an art show for the Race to Equity Summit through the YMCA, this piece is currently hanging at the NEW Central Madison Library in the beautiful children’s room! Designs: Describes how different expressive features and principles cause different responses. 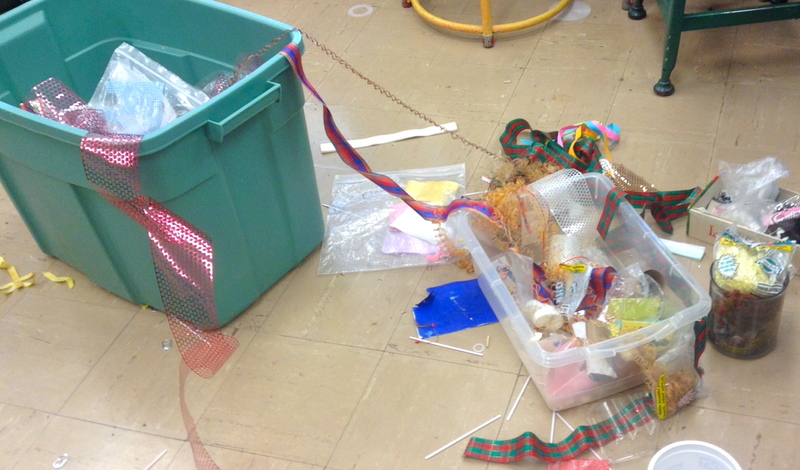 Reflecting: Understand that there are various purposes for creating works of visual art. Interpreting: Understand that different subject matter and ideas communicate meaning. 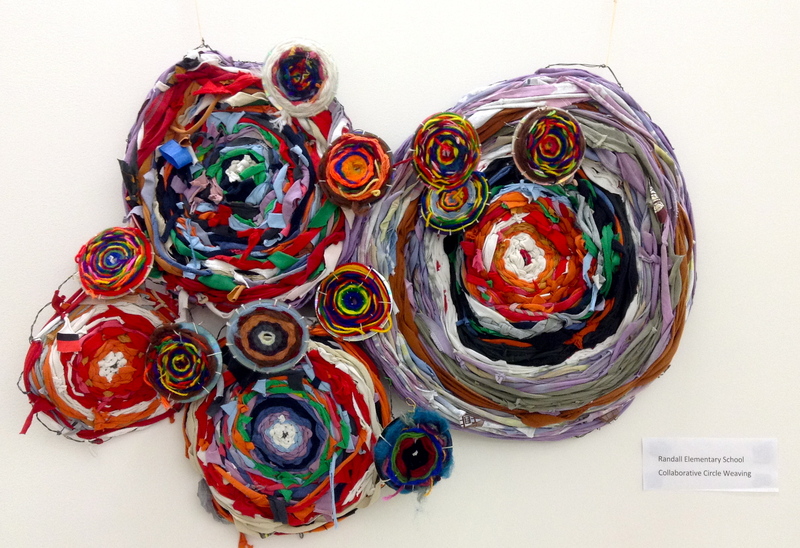 Understanding: Know that the visual arts have both a history and specific relationship to various cultures. Emotional Development and Social Skills: Students will use language to interact with others and communicate effectively in activities and discussions. Students will describe how words, tone and body language are used to communicate with others positively and negatively. Students will work cooperatively with partner and in small groups. Students will identify and practice strategies for resolving conflicts constructively. Student will work cooperatively and productively in a group to accomplish a set goal. Today was the opening reception for the Randall Student Froth House Art Show. It was wonderful! Artists proudly showed off their work to both family and friends. Go check out the show at the Froth House! I’m not sure how long it will be up. Froth House will let me know soon and then I will update this post. It was wonderful to see both artists’ family and friends come to celebrate their work!! Thank you, Froth House, for hosting our art show!! The last 5th grade unit that I was a part of was another that I designed and began teaching myself but was unable to finish as my time student teaching in the elementary came to a quick end and I had to move on to high school. 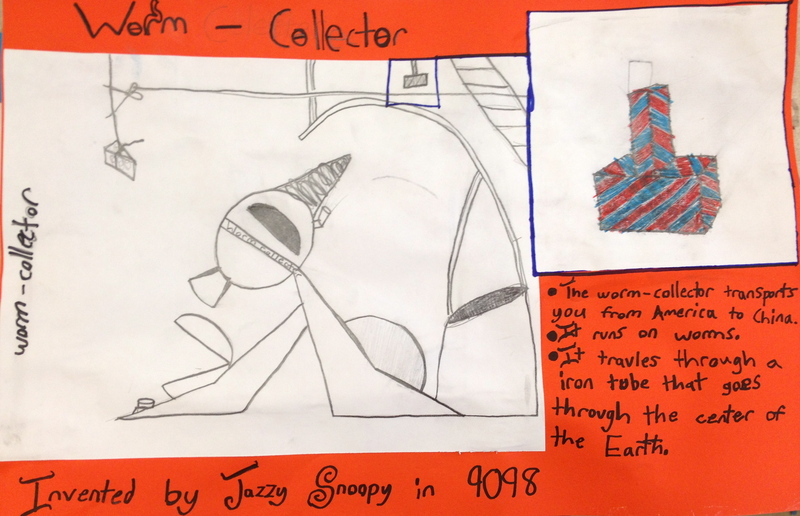 I am a huge fan of mixed media art, printmaking, and movies so I decided to implement all of those elements into 1 unit and “hire” the 5th graders as my Art Department who would be working as character designers and developers, storyboard artists, and as printmakers. Many people are familiar with the movie director, Tim Burton, who is famous for such films as Edward Scissorhands, The Nightmare Before Christmas, Big Fish, Frakenweenie, as well as many others. What many people are unfamiliar with is that he is also an artist and that he designs all of his characters himself and develops his storyline from there. There is a featured article in The Scholastic Art magazine on Tim Burton’s artistic philosophy and process that inspired this unit. 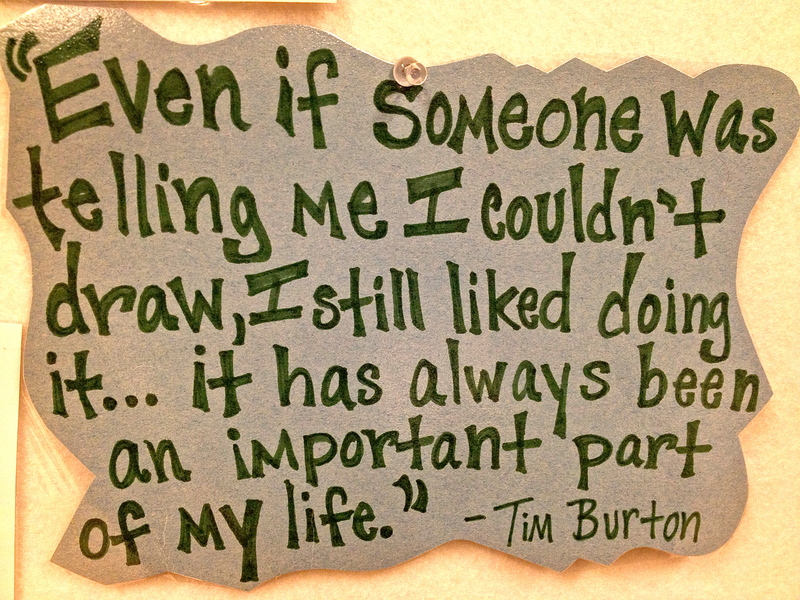 I believe that his artistic philosophy is extremely important to teach young artists and I posted some of his quotes around the room for students to see. I then congratulated them on being “hired” as the art department on an up and coming Tim Burton film and there job was to design and develop a character and create a storyboard to “present to Time Burton”. In order to make our art room seem more like the art department on a movie set I gave each day we worked a title. 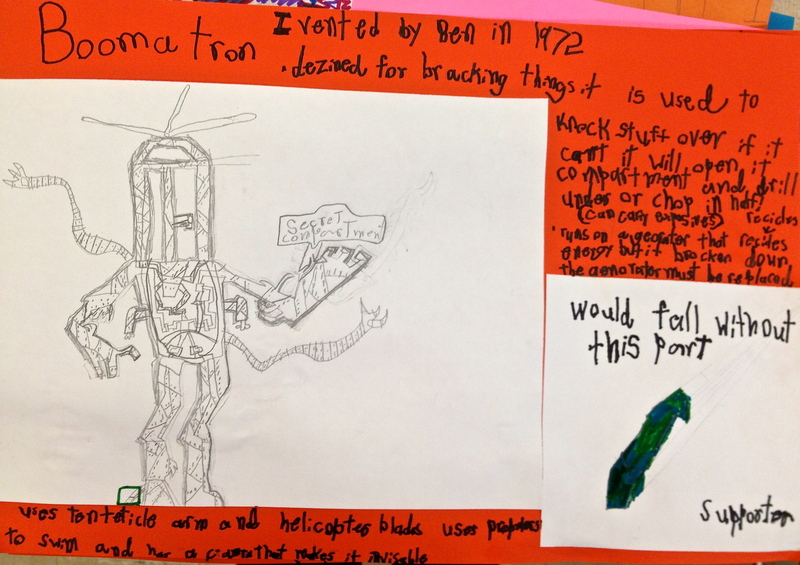 On the first day their task was to design and draw an interesting character using Tim Burton’s style of drawing as inspiration. We finished designing and drawing our characters and then transferred those character drawings onto linoleum blocks and began carving out our blocks in preparation for printmaking. We discussed simplifying and negative space. 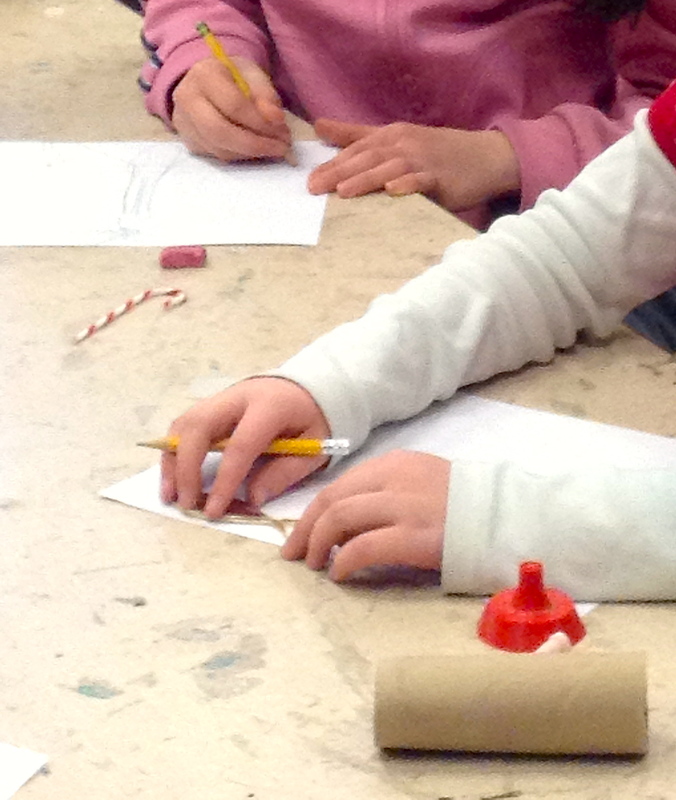 Everyone had a great experience carving out linoleum blocks for the first time, just like professional printmakers. They will be using their character prints and cutting and pasting them into their storyboards rather than drawing out the character every single time in each frame. I showed the students a short video of how a professional storyboard corresponds to the actual movie and we discussed narration and storytelling through visuals. We were going to be doing a slightly shorter storyboard and I asked the students to sum up their character’s story in only 4 frames. They were given a variety of supplies and asked to draw out each of the 4 major scenes but not forgetting to leave room in each scene for their character print. 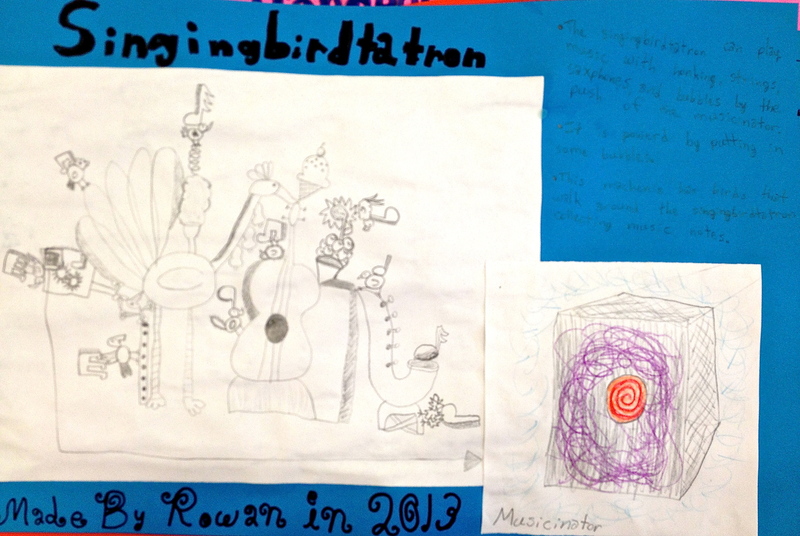 The imaginations and creative ideas I witnessed working with the students was absolutely amazing. Sadly I wasn’t able to be there when the students did the printmaking and finished their storyboards as my student teaching obligations took me to West High School but I can’t wait to see all of the finished products in upcoming blog posts! This last lesson with the 4th graders while student teaching was a lesson that I designed and taught myself. We focused on one of my favorite Wisconsin artists, Tom Every, aka Dr. Evermor. Many of you have probably seen some of his giant, metal bird sculptures on the roof of Madison’s Children’s Museum or on Patterson Street in between East Johnson Street and Williamson Street. A handful of the students even said that they have had a chance to visit his sculpture park, just South of Baraboo, WI. Our first day, the students were given a picture of Dr. Evermor’s famous Forevertron sculpture, which happens to hold the Guiness World Record for largest scrap metal sculpture. I asked them to interpret and analyze the picture without giving them any previous information. 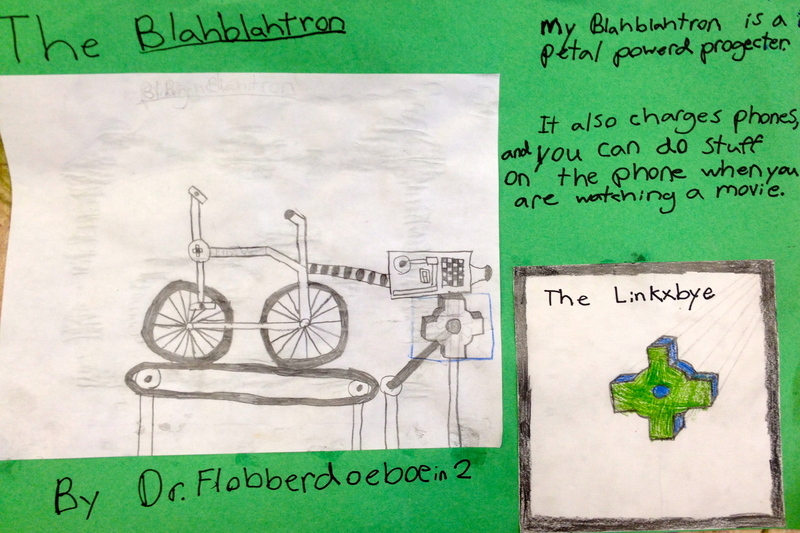 They discussed with their classmates what they noticed about the picture, what they thought the item in the picture was made from, and what they thought the item in the picture was used for. 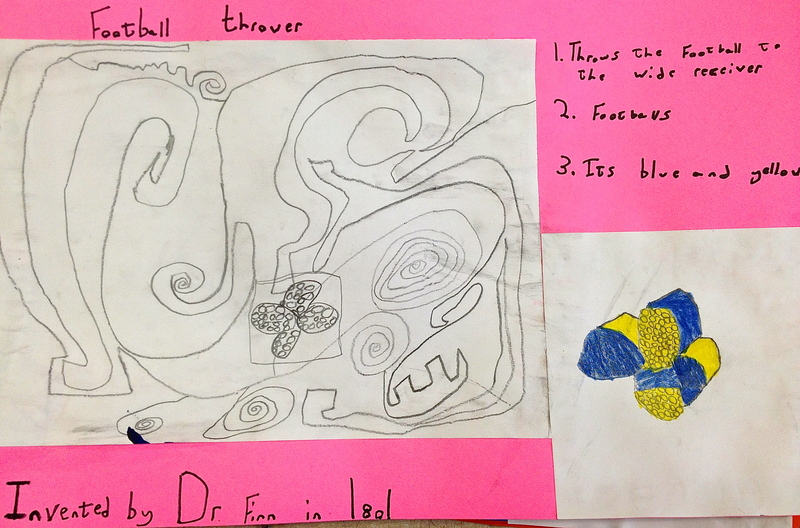 We then had a class discussion about their ideas and I introduced the artist Tom Every and his artwork. We discussed how he uses unaltered recycled scrap metal or “junk” in his sculptures, the importance of recycling, alter-egos, narration in artwork, storytelling, elements of a story, inventing, and the non-traditional art making process of generating the context behind the artwork after it is already made rather than the traditional process where ideas are generated first and turned then into final pieces of artwork. 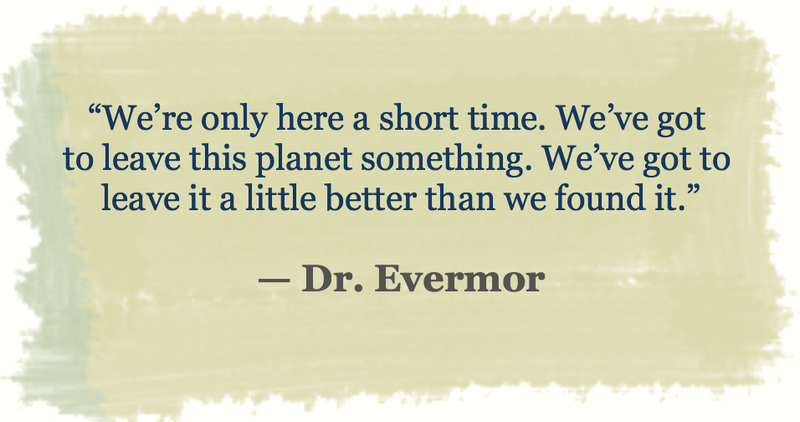 That last topic was something I really wanted to focus on in our initial discussion and following activity because that is exactly how Dr. Evermor works. He begins by welding various scrap metal together without knowing what type of sculpture he is making and lets the artwork itself help determine the content, concept, and story behind the sculpture. 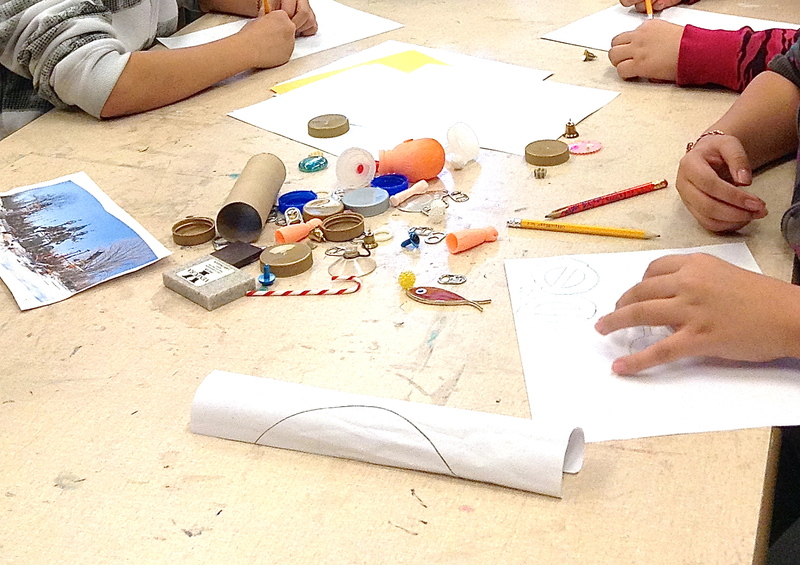 Then the students were given their own junk and were instructed to just start drawing using the “junk” as inspiration and begin creating a drawing without knowing what it was and to let the drawing itself decide what it is. 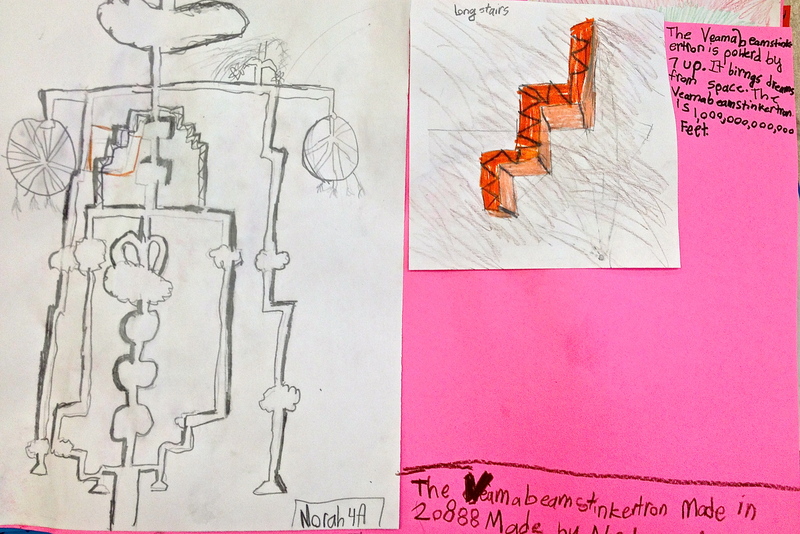 Then the students were asked to create their own Dr. Evermor inspired fantastical machines based off their “junk” drawings and develop a story that explains their machines. 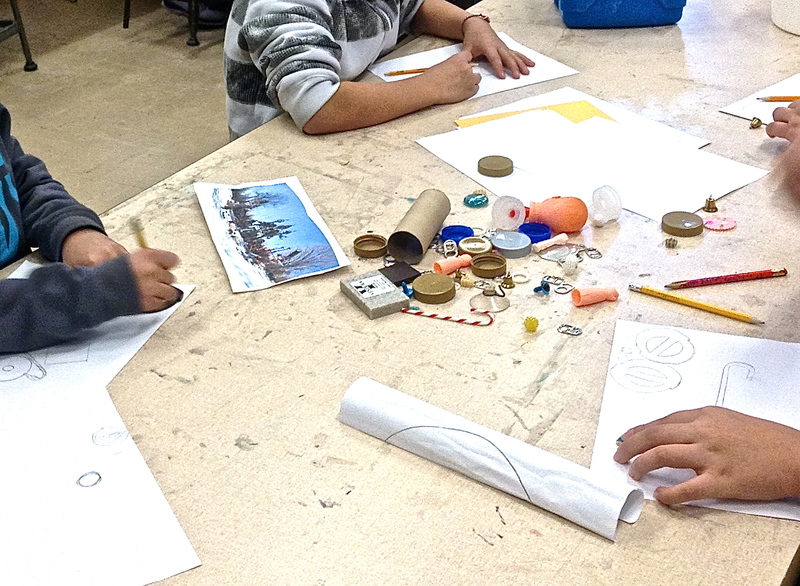 The students were introduced to the various graphite pencils that artists use, blending/shading, hatching and cross-hatching drawing techniques, designing mechanical drawings, and even 1-point perspective! 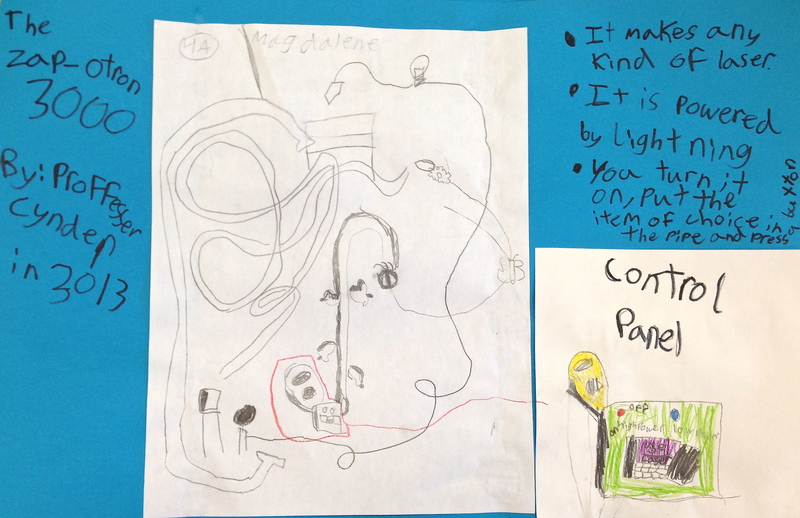 The student’s Fantastical Machines and stories behind them were absolutely AMAZING! 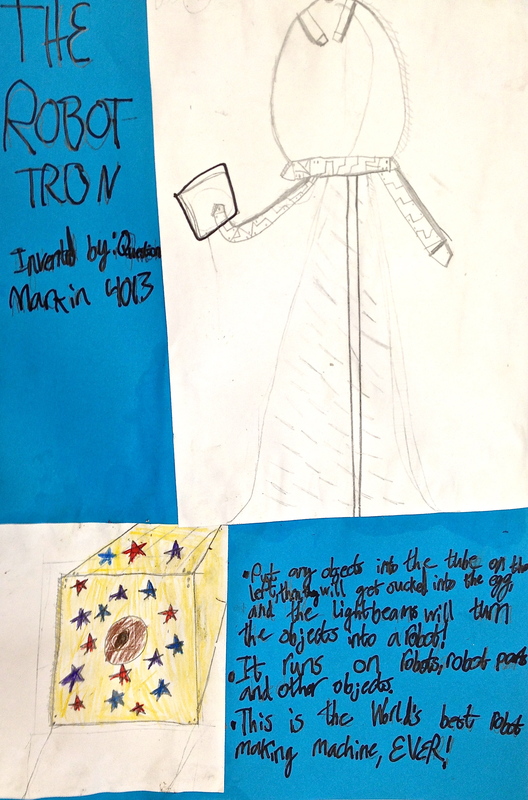 The creative and inventive ideas that came from the minds of the 4th grades was absolutely inspiring and everyone one had a fun time inventing their own Fantastical Machines!